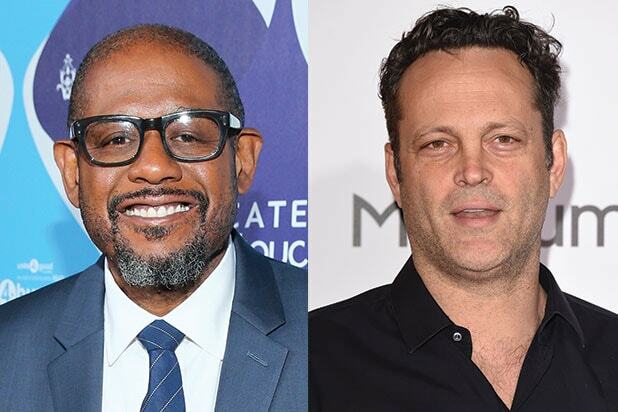 Oscar winner Forest Whitaker and Vince Vaughn are set to star in Roland Joffé’s drama “The Archbishop and the Antichrist,” Emmy-nominated producer Craig Baumgarten announced Monday. Two-time Oscar nominee Joffé (“The Killing Fields”) co-wrote the screenplay with Michael Ashton. Kim Ashton will executive produce the film, which will begin shooting early next year. 13 Films is handling international rights and will introduce the project to buyers at the upcoming American Film Market. WME Global is handling North American rights. Based on Ashton’s play “The Archbishop and The Antichrist,” the film follows a fictionalized account of Archbishop Desmond Tutu’s (Whitaker) meetings with brutal murderer Piet Blomfield (Vaughn), who seeks redemption for the atrocities he’s committed while he serves a life sentence in prison in post-apartheid South Africa. “Forest Whitaker brings a great sense of depth and power to all his performances and he is the perfect match for Tutu’s complex character. Vince Vaughn continues to prove his wide-ranging acting skills following his more dramatic roles in ‘Into the Wild’ and the upcoming ‘Hacksaw Ridge.’ Under the direction of Roland Joffé, their combined star power and talent is undeniable,” said Tannaz Anisi, president of 13 Films. Vaughn recently starred on the second season of HBO’s “True Detective” and is currently filming Mel Gibson‘s “Hacksaw Ridge” with Andrew Garfield. WME represents Vaughn and Whitaker, who is also repped by Brillstein Entertainment Partners.